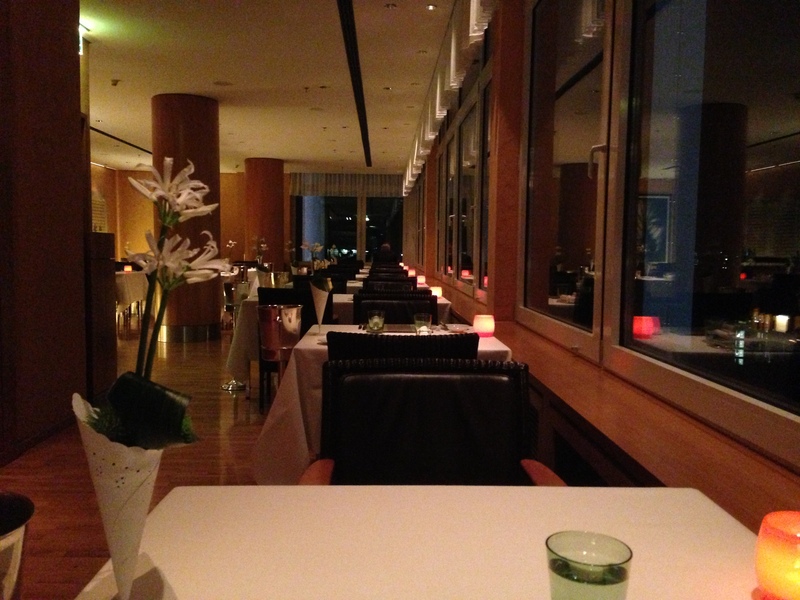 This is the second of the Michelin-starred restaurants that I decided to try during my short stay in Berlin. I wasn’t sure how this would compare to Tim Raue, but I was excited to try it anyway. I saw that they were featuring a white truffle menu, so I immediately went for it. I loooove truffles. Monty says that my love of truffles deserves its own documentary and that it outweighs his love of any single ingredient, but I don’t know how true that is—the man loves uni. I haven’t had a truffle-themed menu for a long time now, so I was SUPER excited to be able to binge on them hahaha. Like Tim Raue, Hugos wasn’t full while I dined there. It was at about 60 or 70% capacity, which made me sad considering that the restaurant would be packed in NYC. The restaurant has a pretty great location, too. It’s on the 14th floor of the Intercontinental Berlin, so you get this awesome view of the city while you eat delicious food. It’s not a bad place to be on a Wednesday night! Right: Mozzarella praline with honey tomato and bits of jamón ibérico. Middle: Eggplant with goat cheese and garlic cream. Left: Salmon tartare on toast. 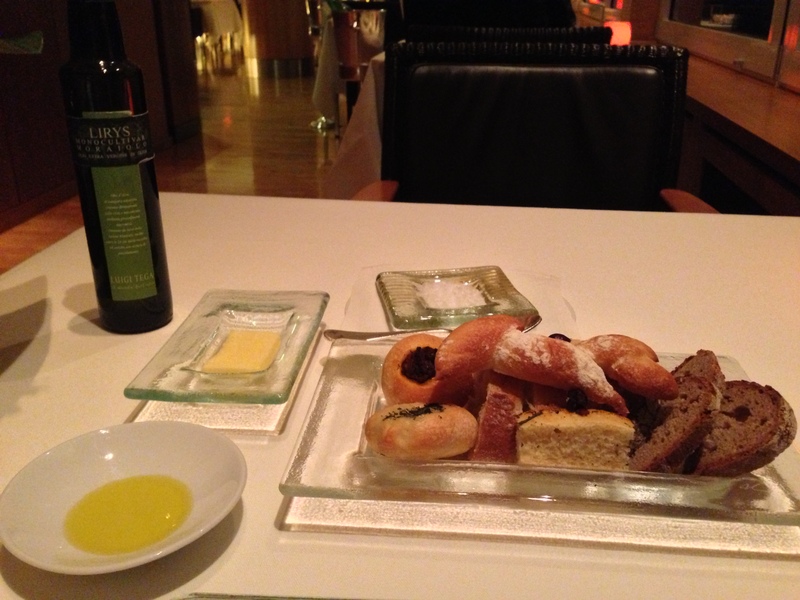 German sourdough, baguette, focaccia, butter roll with herbs, butter roll with tomato, and buckwheat. With butter, olive oil, and salt. 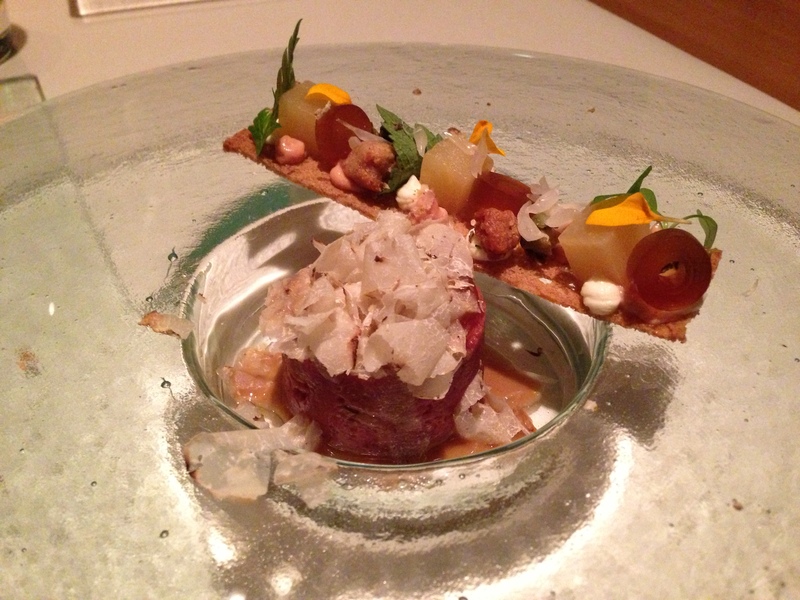 Tartare of Highland beef from Brandenburg, Germany, with “beef tea” jelly (jelly from oxtail consommé), crumble of goose liver, liver cream, croustillant, and white Alba truffle. I can’t quite tell how good the beef was, to be honest. 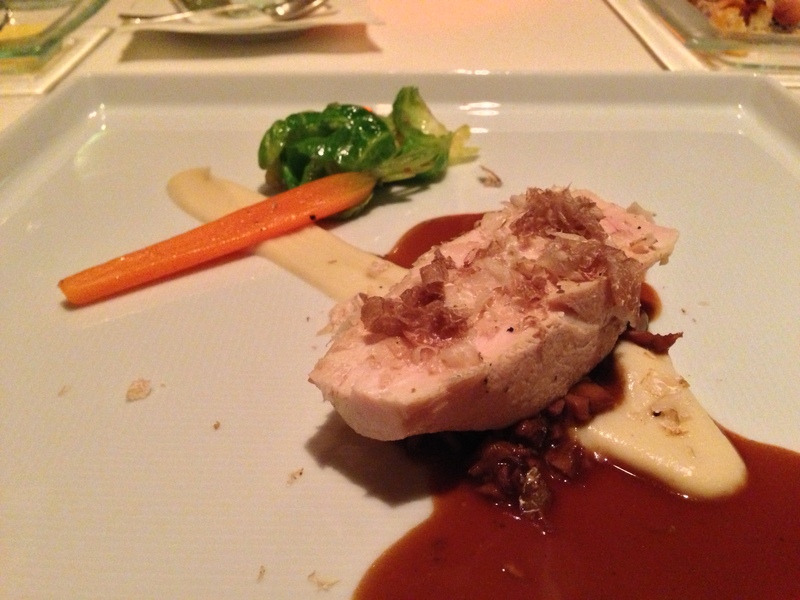 I was kind of enjoying the white truffles too much to notice… How unfortunate (and how very fortunate hahaha)! 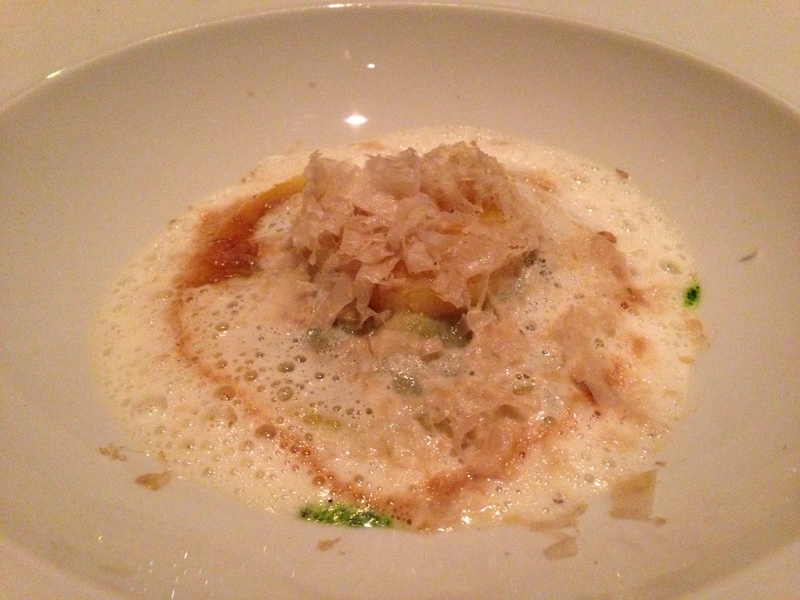 Tortellone with organic egg yolk inside; creamed spinach, venison jus, and truffle foam at the bottom; white Alba truffle on top; and powder of bacon lardo on the side. 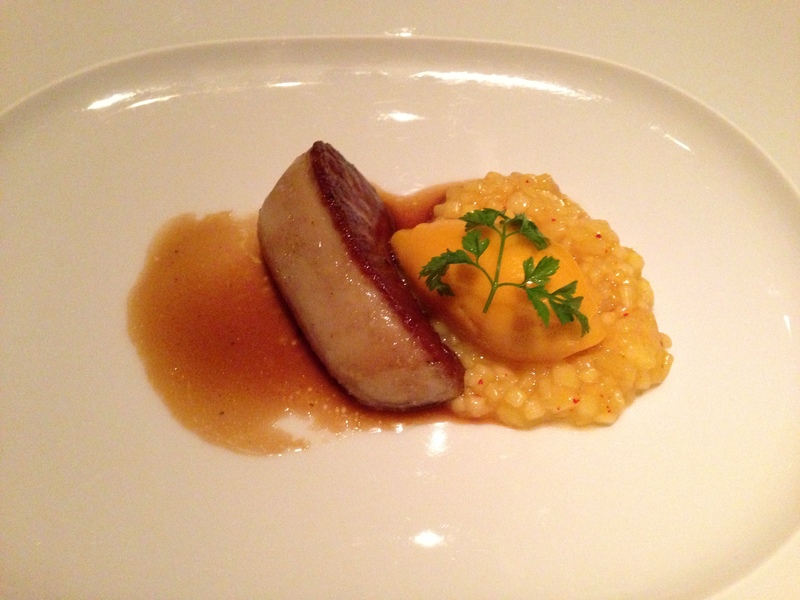 Glazed foie gras with Pattaya mango sorbet and ragout. At the beginning of the dinner, I asked the server if there were any courses outside of the truffle menu that were considered “classics”. He suggested the goose liver, so I added it to the meal. I’m glad I did; it ended up being an excellent decision! I haven’t had good foie in a long time, so my first bite was wondrous. It was soft, buttery, rich, melt-in-your-mouth-and-make-you-moan goodness. 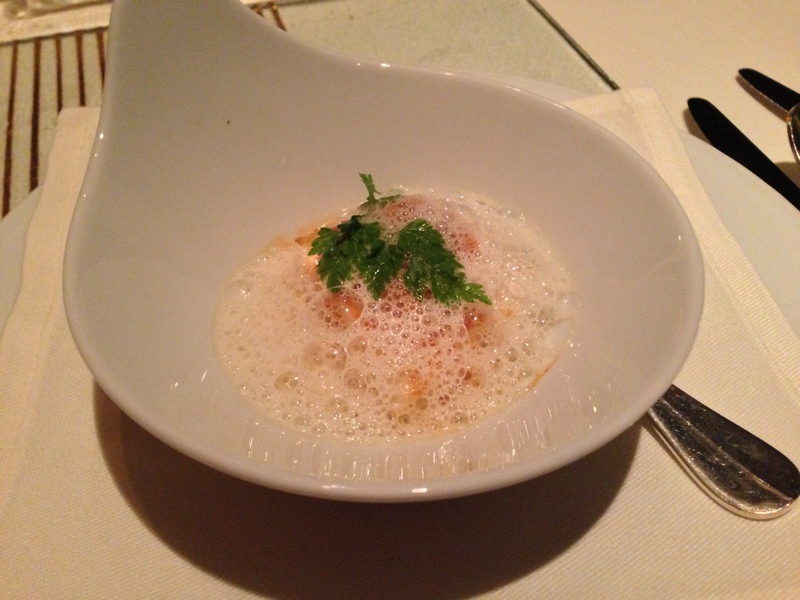 There was also a contrast in temperatures—the warm foie and ragout were countered by the piercing cold and slight acidity of the mango sorbet, which did a good job of cutting down on the richness of the foie. Westphalian free-range chicken breast with ragout of the leg, white Alba truffles on top, jus of poultry on the side, cauliflower purée, brussel sprouts, and peppered carrot. I thought this was the weakest part of the meal. The chicken wasn’t that flavorful, though it admittedly was tender. The brussel sprouts and carrot weren’t amazing and were kind of boring (both in their utilization as ingredients and in their flavor), and the combination of all the ingredients unfortunately did not create a result that was greater than the sum of its parts. I think it would have served the restaurant better to utilize duck or lamb. I’d suggest Wagyu, but I can understand that they might not have wanted to use beef again after the tartare course. Lukewarm Vacherin Mont d’Or cheese with Williams pear, candied walnuts, and white Alba truffle. I’m usually able to stop myself from finishing cheese courses because i become calorie-conscious right about now (as most of my friends who I eat with know), but I couldn’t stop myself in this case. The cheese was intensely unctuous, and its flavor was only interrupted by the sweetness of the Williams pear. Anyway, you can’t really go wrong with the combo. A great cheese, pear, walnuts, and white truffles? It’s like an insta-win haha. 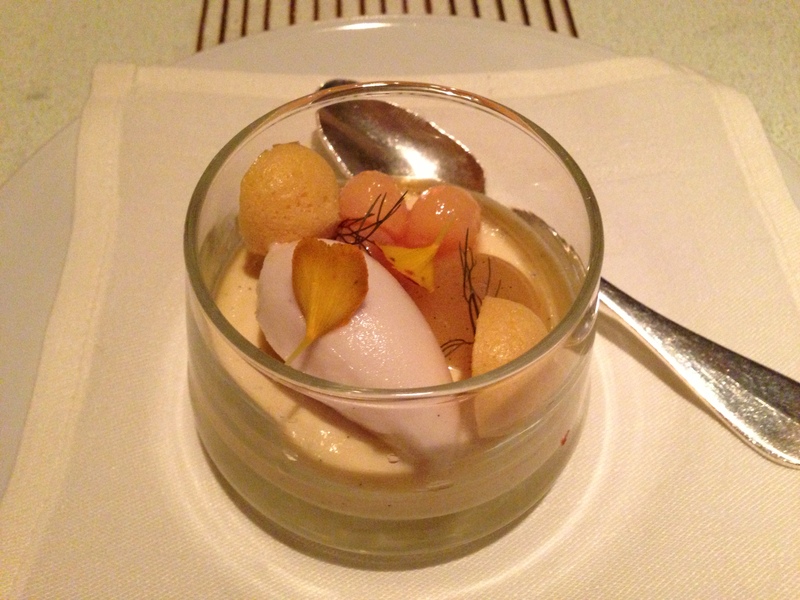 Vanilla sour cream at the bottom, quince sorbet, quince compote, and pieces of pear. This dessert wasn’t really special. It tasted good, but I didn’t feel that it was noteworthy (in either a good or a bad way). 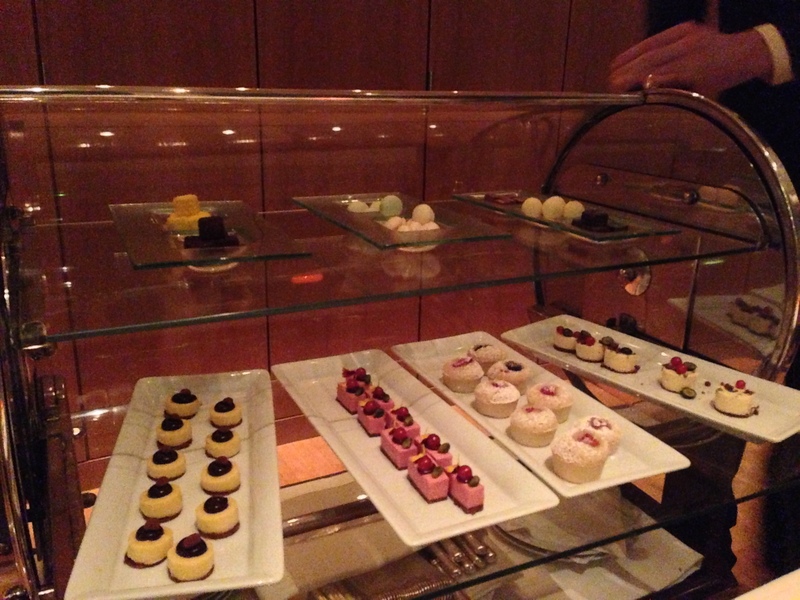 A waiter came by with a trolley of petits fours, listing off selections such as marshmallows, macarons (I just remember one flavor being pistachio), chocolates, tartlets, financiers, and cakes. There was a pretty decent variety of flavors, but I didn’t get anything. At this point in the night, I just wanted to stop ingesting food and stop with the weight gain haha. The meal was decent, and I’m glad I tried it! I can see why the place got a Michelin star. 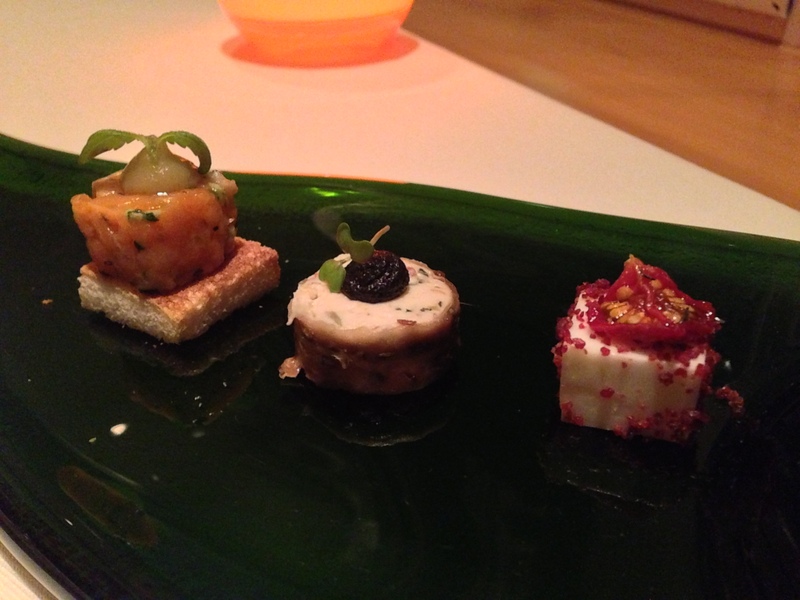 The food was very well-cooked, but it didn’t seem as creative as the food at Tim Raue’s. 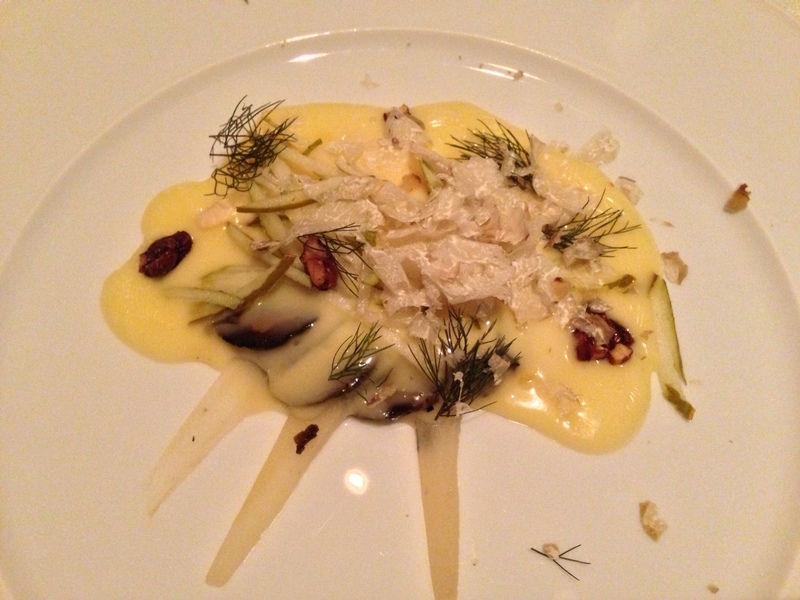 The execution at both places was great, but the concepts and cooking techniques were more interesting at Tim Raue’s. Today’s meal felt a lot more akin to what I would consider a normal fine dining experience, which has its good and bad attributes. In the end, though, I recommend it. Just know that the food might not be as exciting as it would be in other places. Still… they did have the option of a truffle menu here. That counts for something for me!